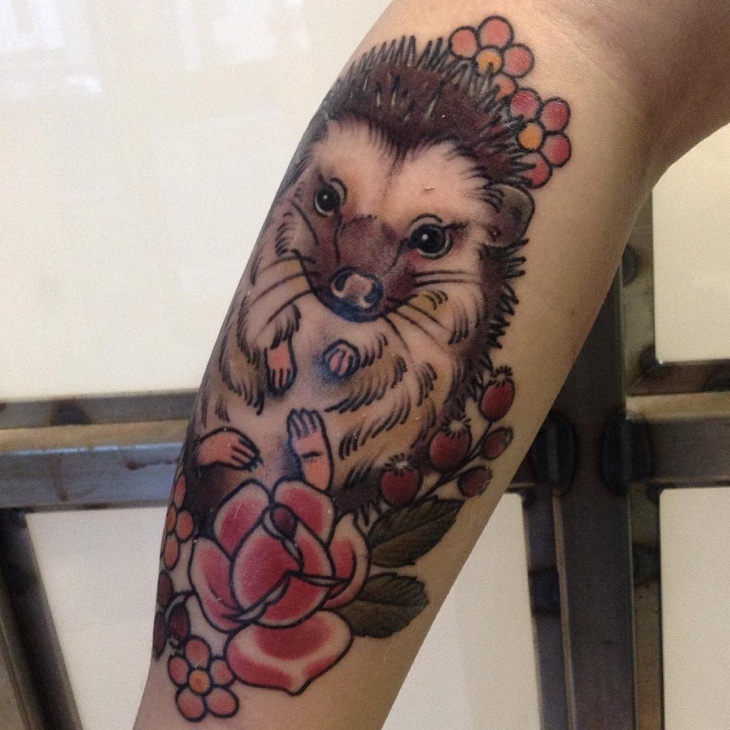 A hedgehog is a cute little animal, but rarely seen as a tattoo. 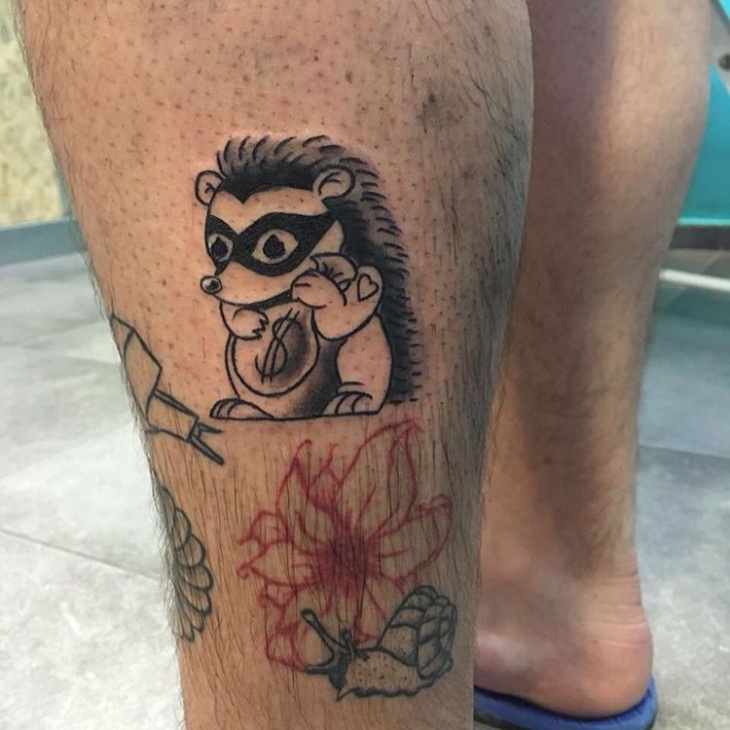 Tattoo artists will tell you they don’t get too many requests for this design. 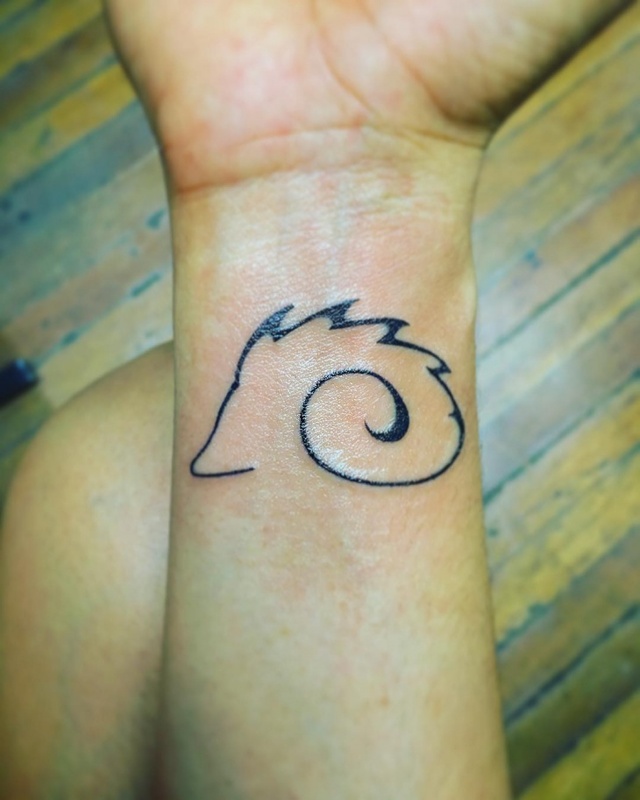 This makes it a different form of tattoo design similar to the Polynesian Tattoo. 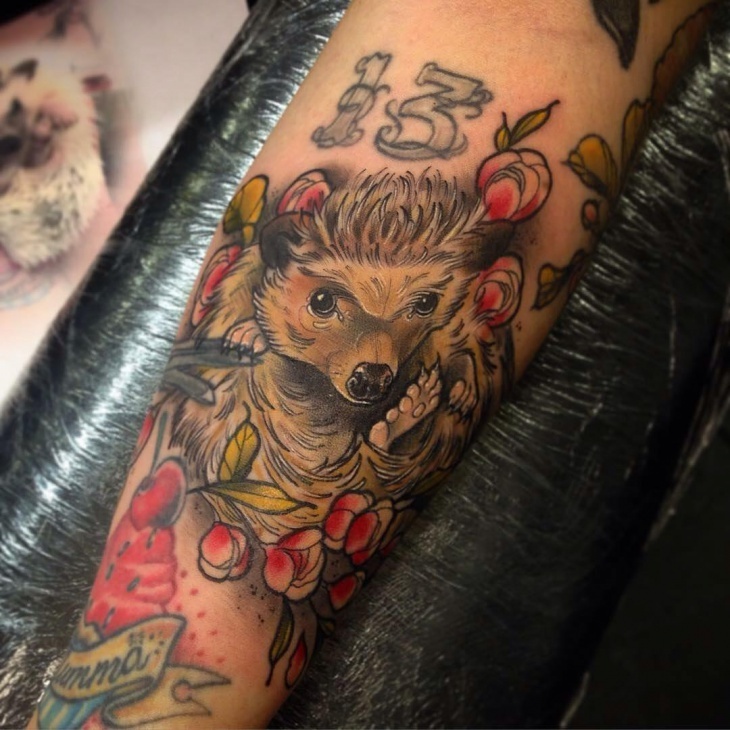 Adorable hedgehog tattoos will make any collector smile for sure. 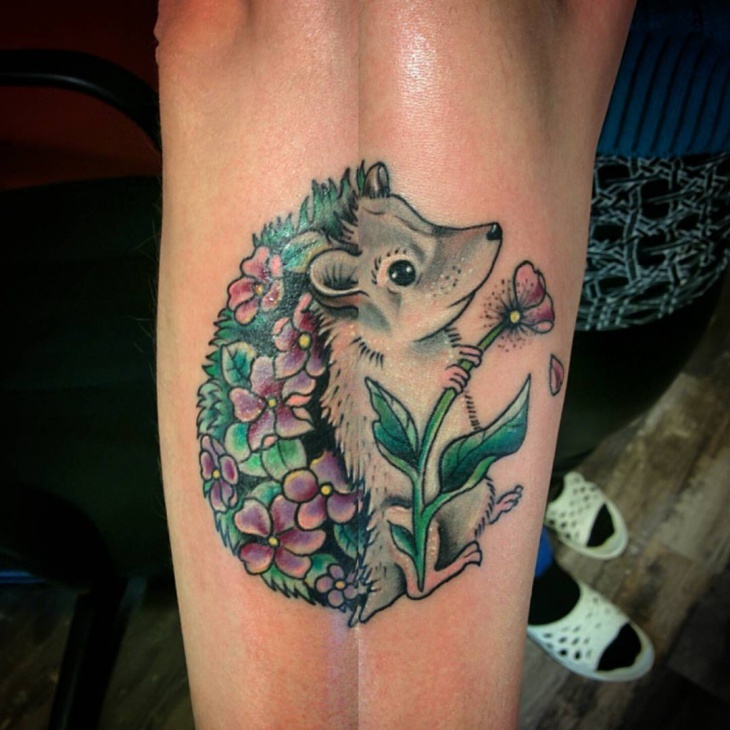 But, these really incredible hedgehog tattoos may mean more to the collector than to a bystander, who will just say it is one awesome looking tattoo. 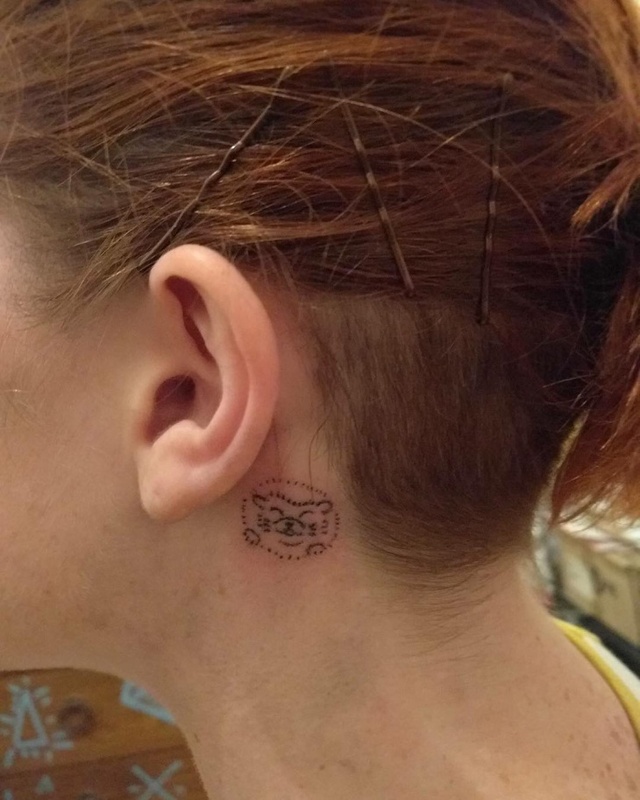 Great tattoo work. Blue ink is spot on against a white skin as a background. 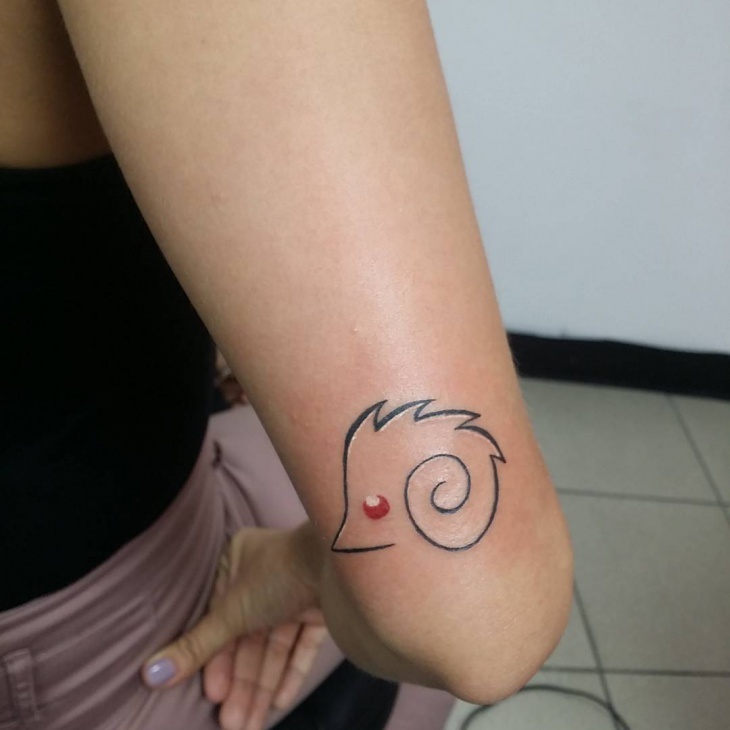 This incredible piece of skin art fashions tribal tattoo culture, neatly done in memory of the beloved one. Do you like it as much as we do? 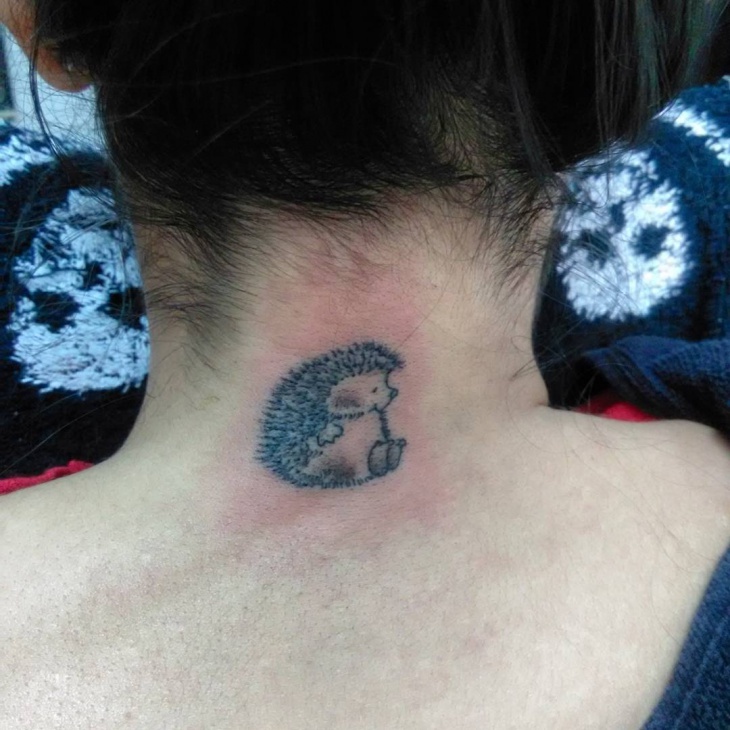 The paw print of the hedgehog is a brilliant masterpiece done at the back of the neck. 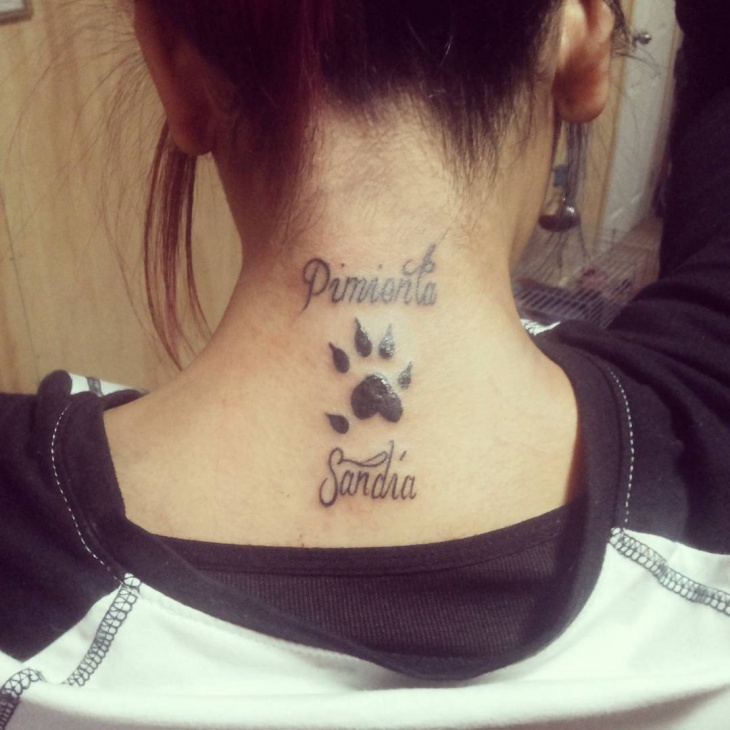 It features a beautiful stylistic letters at upper and bottom part, a great way to express affection to someone you love. 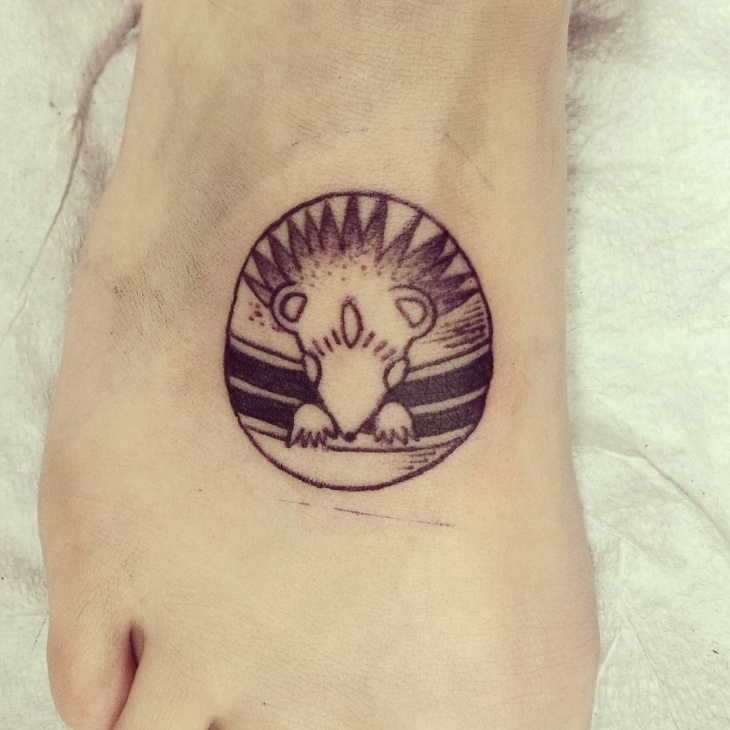 The baby hedgehog is a story of being yourself, being one of a kind. 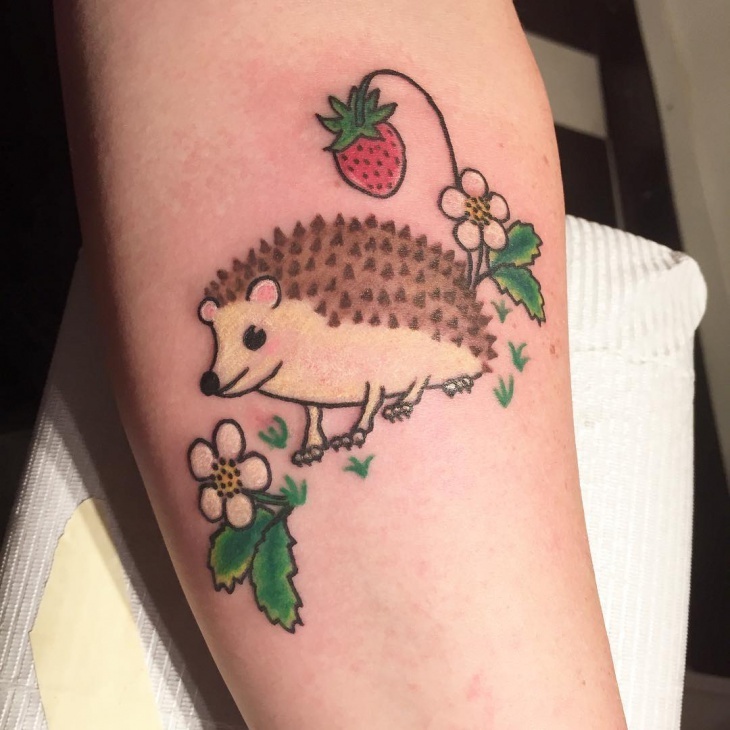 It also represents the trait of being crafty and aware of circumstances around you. This is a design for silent, but clever people. 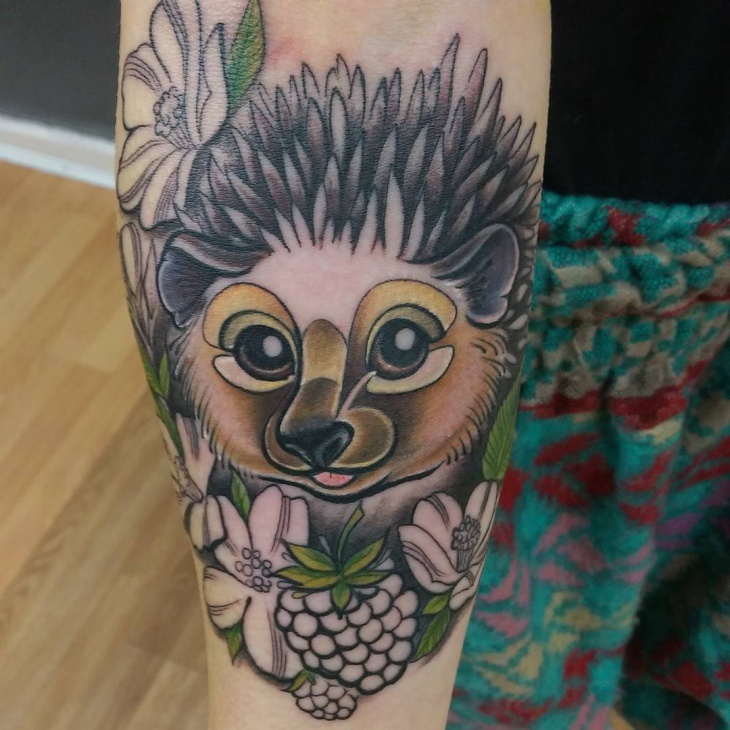 Nice example of the hedgehog image that illustrates the Goddess Ishtar, who is considered to be a symbol of the Mother Nature. 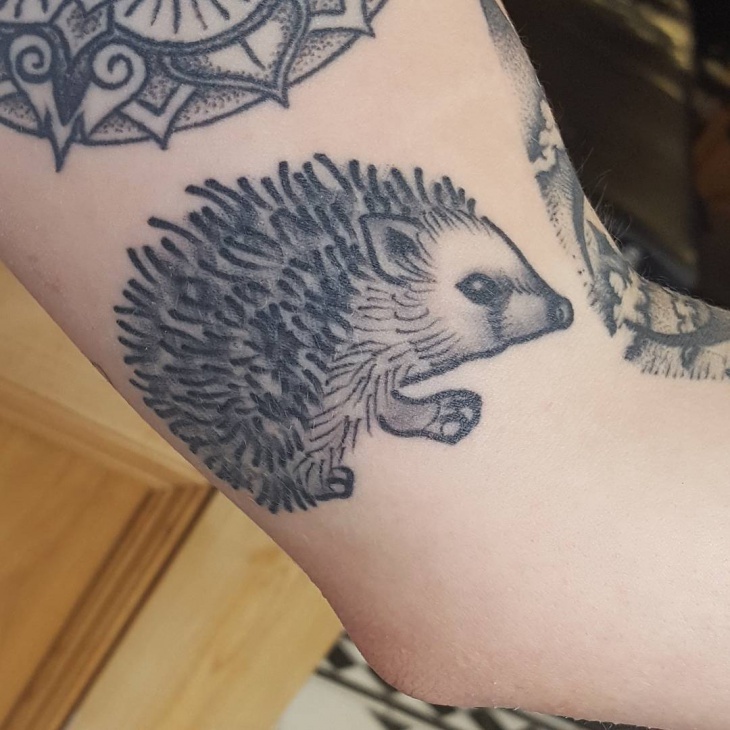 Certain religions depict the given image of a peaceful animal in a bad way, but we see this little tattoo only as the positive emblem. Do you agree with us? The people of Asia and Africa don’t see anything wrong with spines being associated with healing powers of the sun rays. 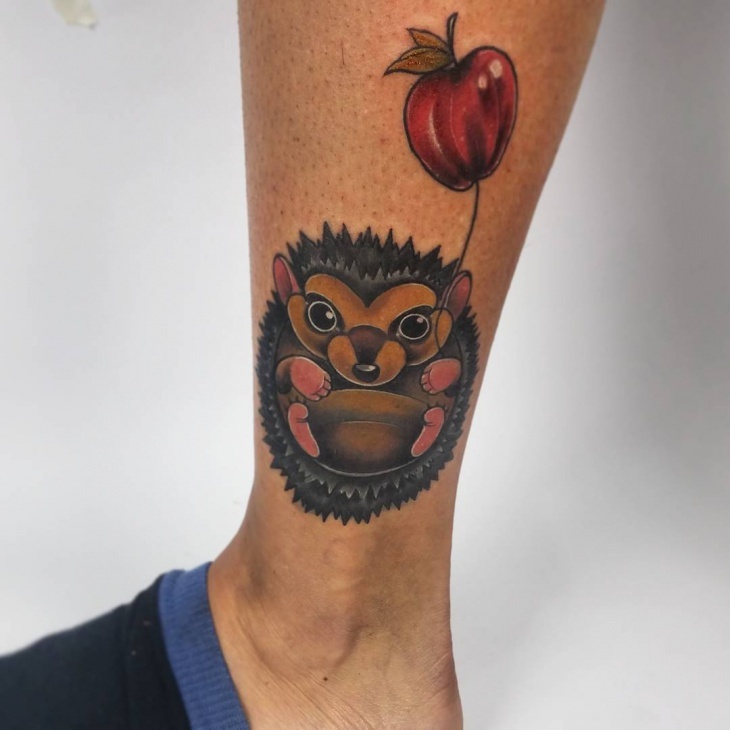 This one is a modern expression with a balloon instead of a fruit. 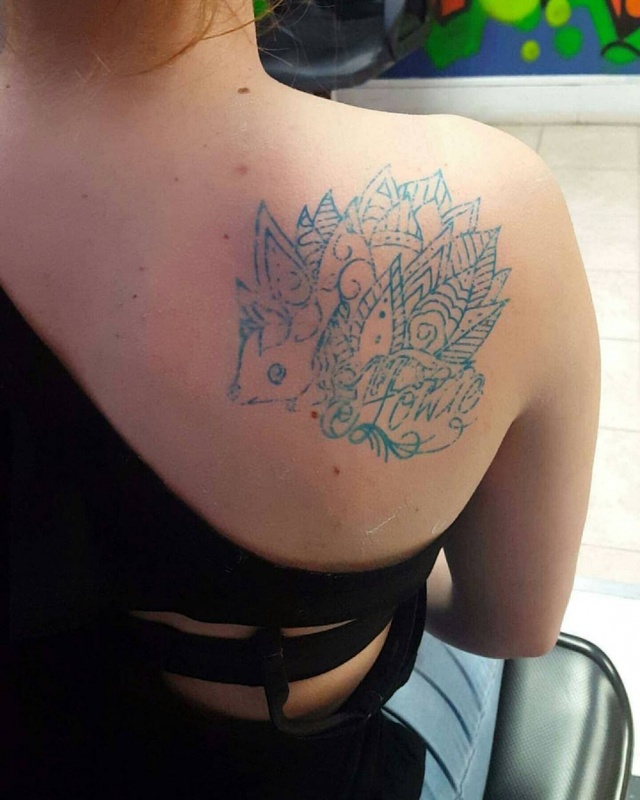 This is rather complicated and very detailed tattoo design if we may say. But there are lots of hidden meanings. 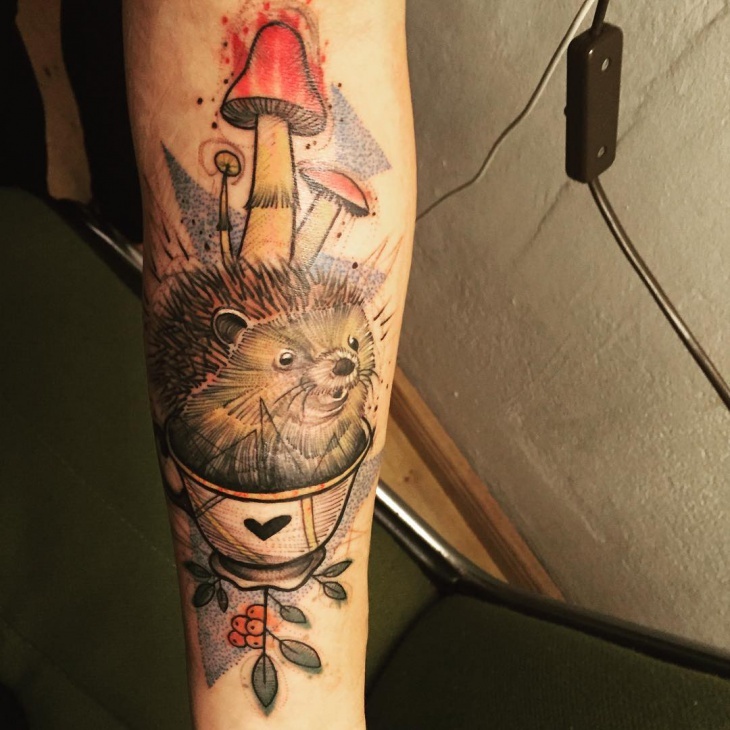 Hedgehog represents the animal that prepares for future events with a possible bad outcome, while the mushroom depicts a mistery and roots underground veil of a secret. Nowadays it can be a symbol of insecurity and pugnacity at the same time. Basically, it means that a collector only looks small and insecure at a surface, but as a matter of fact, she has enough internal power to protect herself and her family. 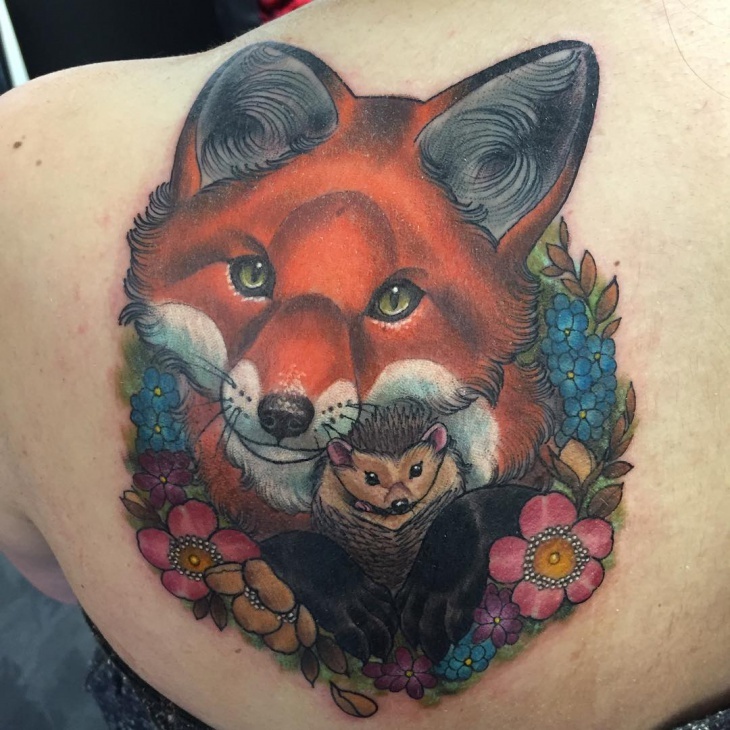 Many myths, fairy tales, and modern urban legends explain the secret power of hedgehog tattoos. This can be either a positive or a negative. 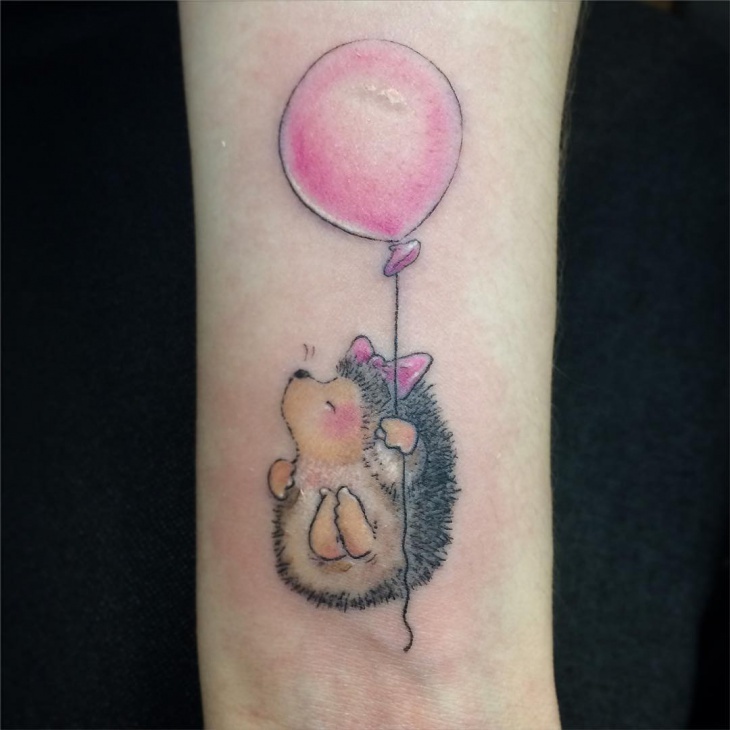 At this photo, it just looks adorable due amber ink incorporated and that is all. 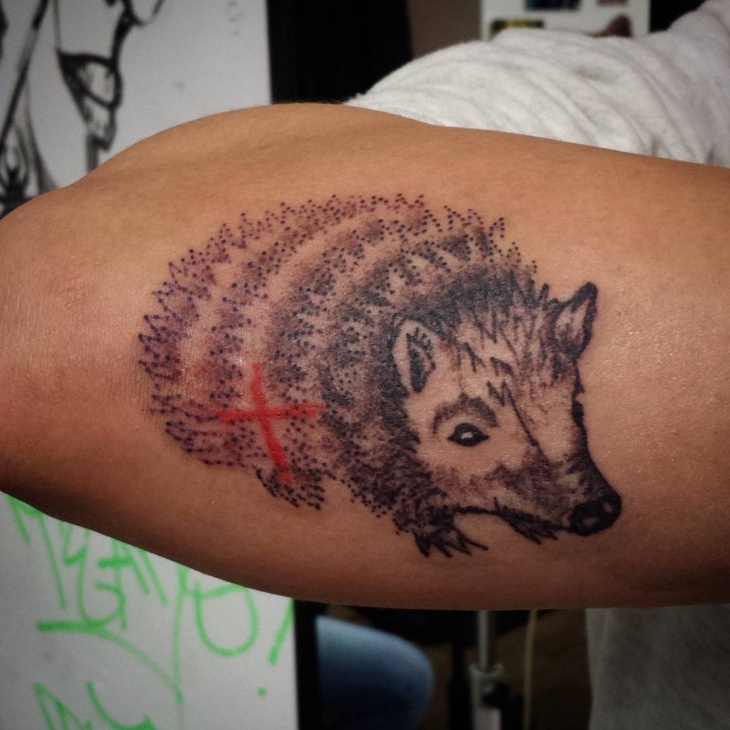 The tattoo of hedgehog is not the wide spread design like Tattoo Designs for Men. 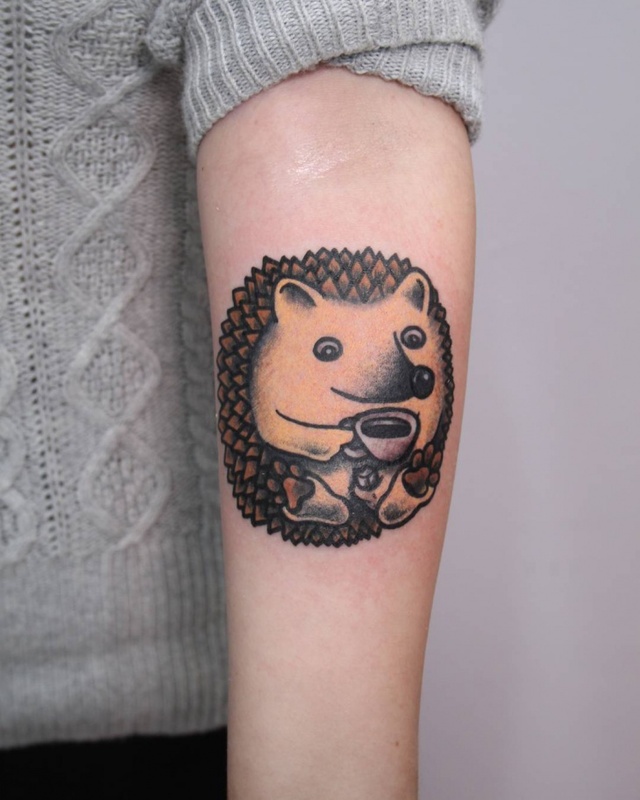 Hedgehog was very well represented in the animated movie “Hedgehog in the Fog”. 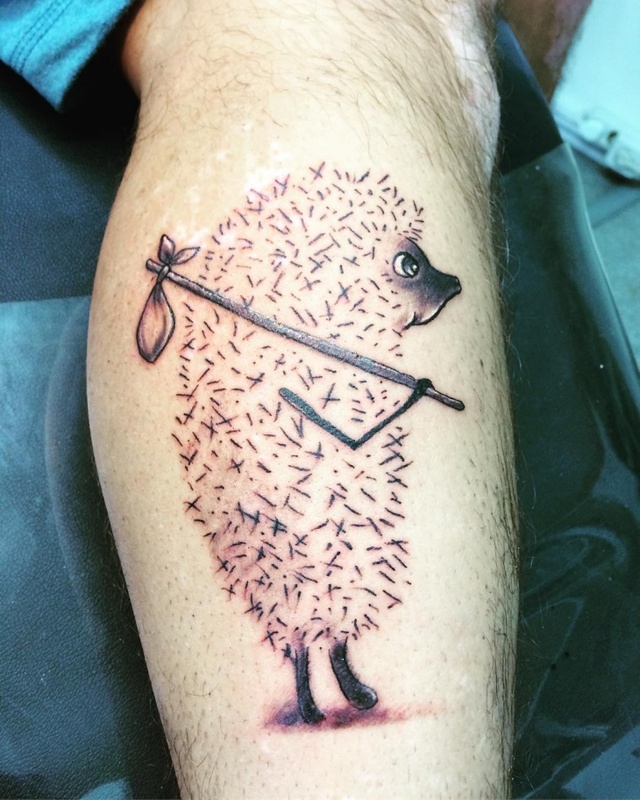 Ultra funny image of the animal is liked by kids as well as adults.